Ever since leaving Portland, Oregon on November 1st we have been getting higher and drier. And no, we are not smoking medical marijuana and abstaining from alcohol. We have left the rainy lowlands of the Pacific Northwest and been traveling inland towards the higher and drier Southwestern United States. We have spent the last week visiting with Kerri’s parents in the 7000-foot high town of Los Alamos, New Mexico; a town about 7000 feet higher than where we lived in Portland. The air is thin, the humidity is extremely low, and we keep waking up to blue skies and sunshine… EVERYDAY!!! In Portland, waking up to blue skies and sunshine is about as rare as a polka dotted zebra. They say that Oregonians don’t tan; they rust. Even during the short Pacific Northwest summers the mornings are usually overcast and you don’t see the sun until the afternoon when the marine layer burns off. But don’t get me wrong, I love to see the sun and blue skies, but I do like variety and it has made taking photos a real challenge. Clear blue skies are a photographer’s nightmare. The lighting is harsh and the blue sky makes the photos look drab and boring. Most great photos of the Southwest are taken at sunrise or sunset when the lighting is good and the sky has more colors than just blue. Unfortunately, we generally have been out visiting the sites at mid-day when the sun is overhead. At 7000 feet, the air is a lot thinner than it is as sea level, where we happened to live. You really feel it when hiking uphill or going up a flight of stairs when your heart starts pounding and you feel dizzy as your body starves for oxygen. Even though Kerri grew up in Los Alamos, she is no longer acclimated to this altitude and finds herself suffering just as I do. I find myself tired all the time and lack the energy I have at lower altitudes. I have often thought about heading over to a medical supply place and renting an oxygen tank for the week. Even though I would look like I suffer from emphysema rolling my oxygen tank around with me, it would be really nice to be able to breath again and feel energized. While low humidity does not sound like a bad thing, coming from an area that often has 100% humidity and will rain for 30+ days straight to a place with 5% humidity and is experiencing a drought is little harsh on our skin. We are drying out faster than an alcoholic in detox. Our skin is dry and itchy and we find ourselves drinking a lot more water than we did in Portland. The dry air just pulls the moisture right out of you. Kerri’s parents and others that live in this area must feel like they are drowning when visiting the high humidity of the Pacific Northwest. I look forward to heading to Paris, France on Friday where the elevation is similar to Portland. Unfortunately, so is the weather. I never thought I would say it, but I actually look forward to seeing some rain again. I just wish the weather would be a bit warmer in Paris, but at least we will be able to breath and stop itching. While we were in Utah, Jason and I had the opportunity to watch our niece Rose compete in the Civil Air Patrol Color Guard state competition. We were pleased to be able to see Rose and her team the Weber Minutemen preform as they have put in countless hours of practice and studying over the last three months to prepare for the competition. I must say that Rose and her teammates dedication and pride in their performance was evident during the competition. 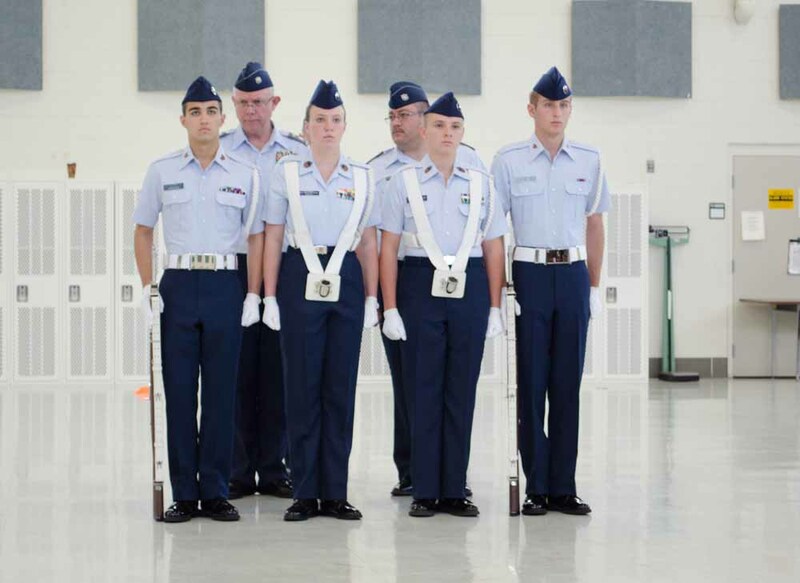 Previous to Rose joining Civil Air Patrol Color Guard, we were unaware of the program. Civil Air Patrol was started on December 1st, 1941 as an all-volunteer auxiliary to the Air force to protect US coastlines. 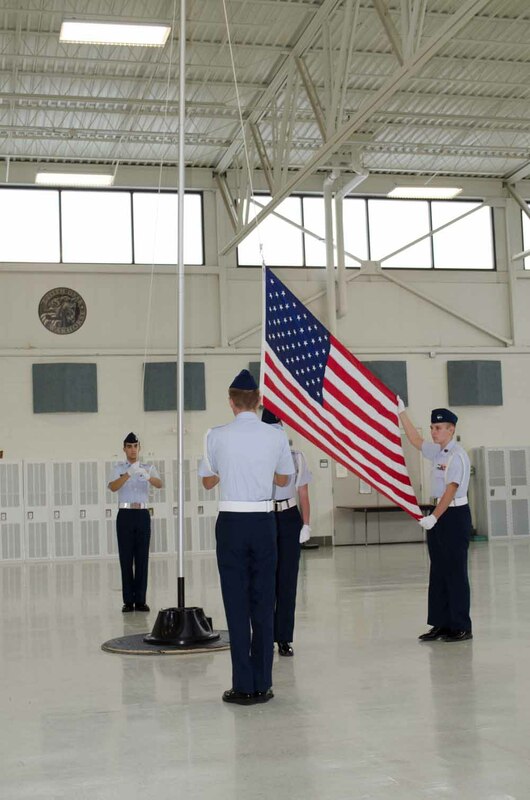 The Civil Air Patrol continues to be an all-volunteer force. However the mission has since expanded to cadet programs such as the Color Guard, search and rescue, and homeland security. Rose has been participating in CAP for several years now and within the last year joined the Color Guard team. 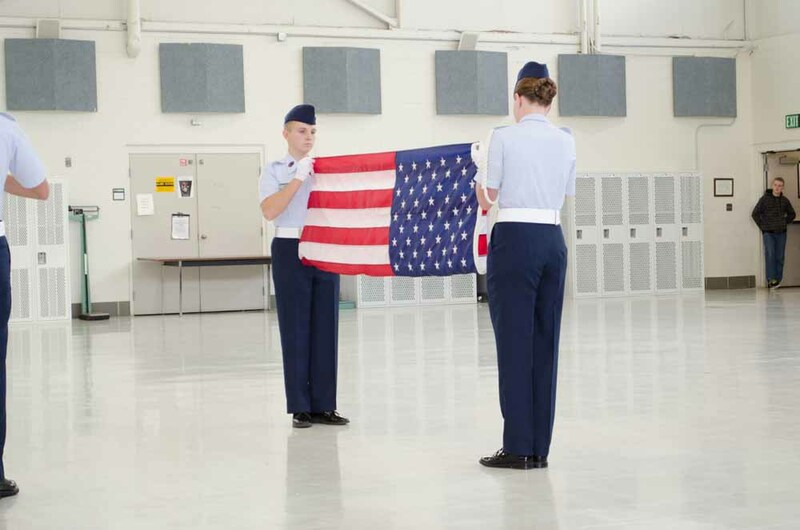 The purpose of the cadet Color Guard is to post and retrieve the flag and render honors to the flag. The Color Guard also posses an in-depth knowledge of flag etiquette. Their knowledge is impressive. I had no clue how many rules there are around flag etiquette. 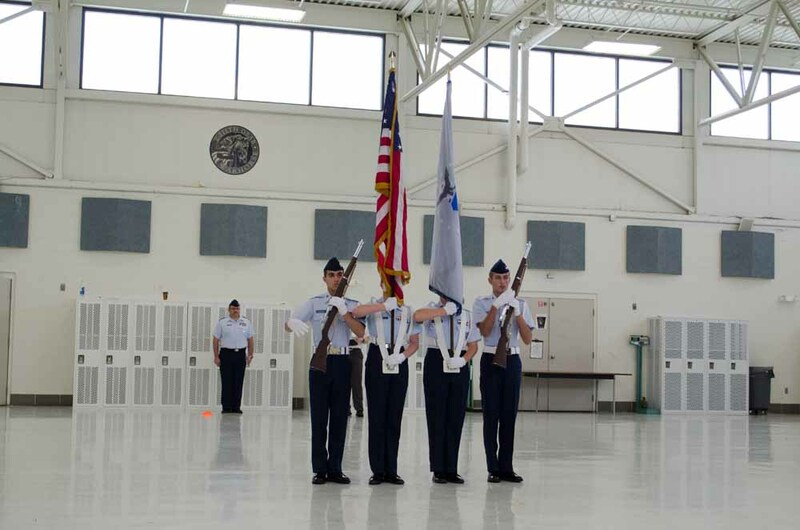 Once a year, the Color Guard has a competition between the cadets of the different squadrons at the state, regional and national level. This competition includes a 1-mile run, written and panel exam, inspection, and indoor and outdoor posting and retrieval of the flag. The written exam and panel exam review cadets’ knowledge of aeronautics. The panel exam is like team jeopardy. I am so proud of Rose and her team. Her team swept the state competition this year taking first in inspection, indoor and outdoor competition, panel exam and the 1-mile run. Rose also received the fleet foot award, which means she was the fastest female in the competition. She ran 1 mile in 7 minutes 14 seconds. Her teammate Zane also took fleet foot for the fastest male runner. He ran 1 mile in 6 minutes 23 seconds. Rose and her team are now off to the regional competition, which will occur in April. It was exciting to see all their hard work come to fruition. I also continue to be amazed at the confidence Rose exhibited as commander of her squadron. I don’t think I have ever seen a more confident 14-year-old woman as Rose before. 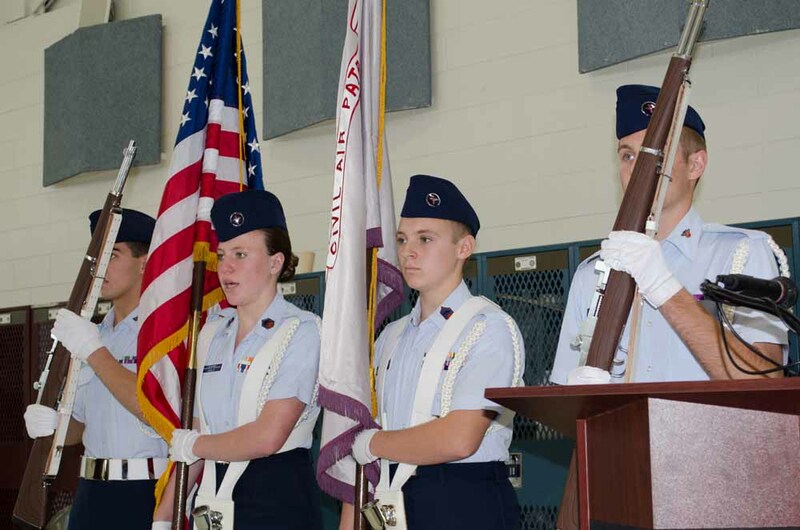 Congratulations to the Weber Minutemen Color Guard for all their hard work and dedication. On our drive from Utah to New Mexico, we stopped for the night in Moab, Utah. 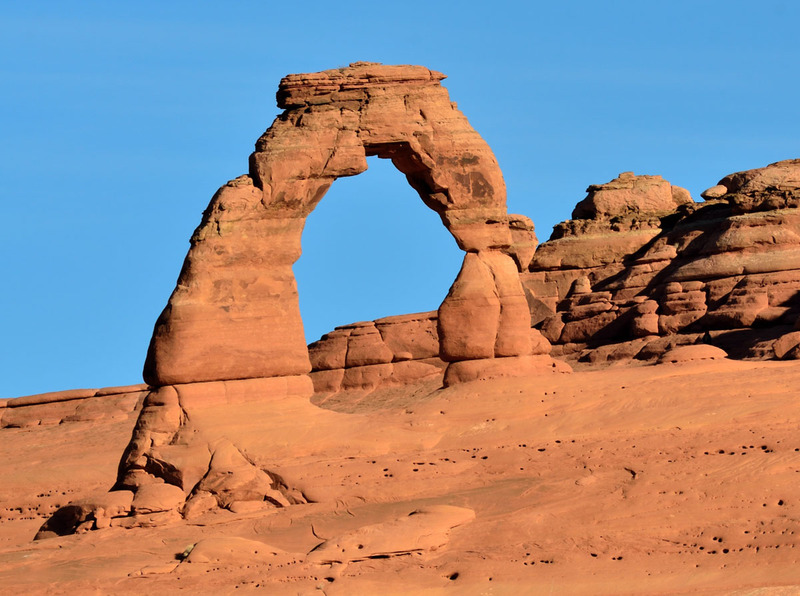 Right next to Moab is Arches National Park which has amazing rock formations. We visited the park at sunset and got some amazing photos. The next morning, we got up early and got to the park to witness the rising sun light up Delicate Arch from across a canyon. Someday, we hope to go back and explore more of the park. During our stay in Layton, Utah we were looking at things to do that would be fun, yet educational. We were tipped off that just to the north was just the place we were looking for, The George S. Eccles Dinosaur Park in Ogden. We arrived at the museum on a cool sunny morning and found only two cars in the parking lot. Being a school day, most people were at work and their kids at school. Homeschooling and traveling around the world has its advantages! We went in and had the place to ourselves. We looked at the exhibits of gems and fossils and then went outside to enjoy the sunshine and life sized dinosaurs. At this point, Sydney had decided that she now wanted to have 3 careers: veterinarian, farmer, and now a paleontologist. I’m sure once upon a time paleontologists could actually make a living searching for dinosaurs. But the odds are that she would end up working at a college or museum, if she was lucky. 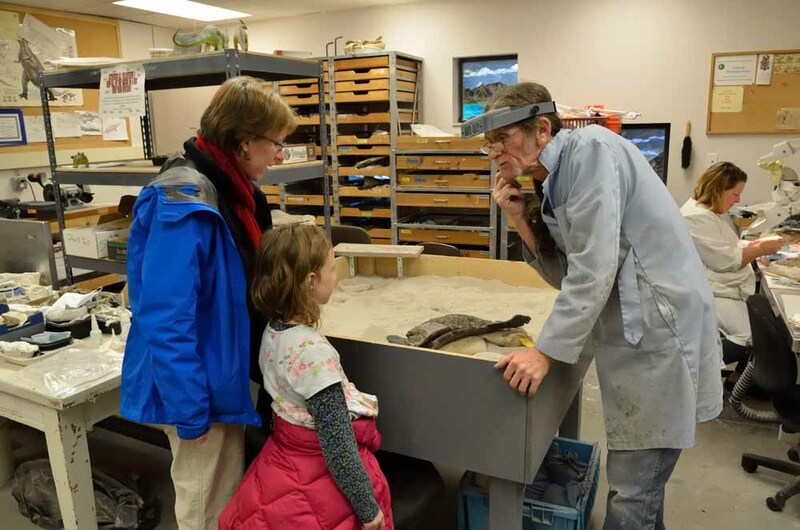 We discussed the other option of having paleontology as a hobby. After all, most dinosaur discoveries are made by non-paleontologists. 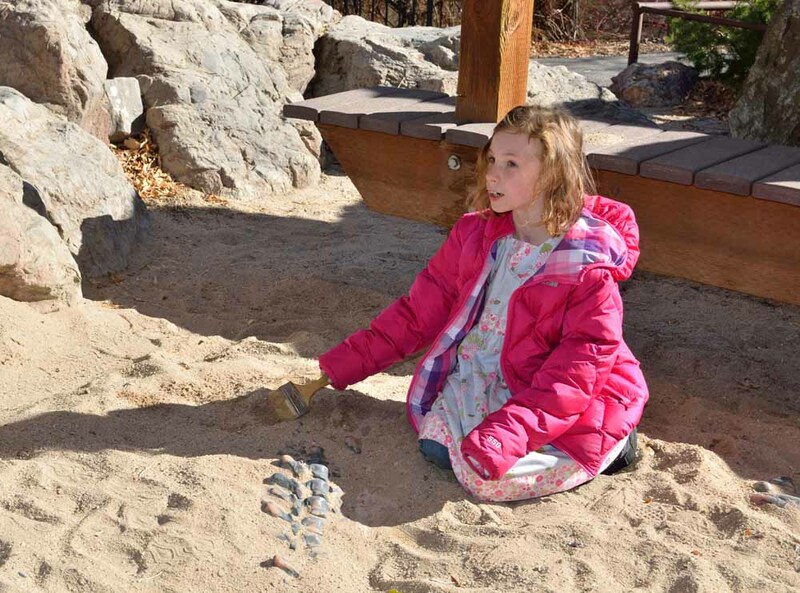 Outside, Sydney found a large sandy area that had fake buried fossils that kids could dig for. 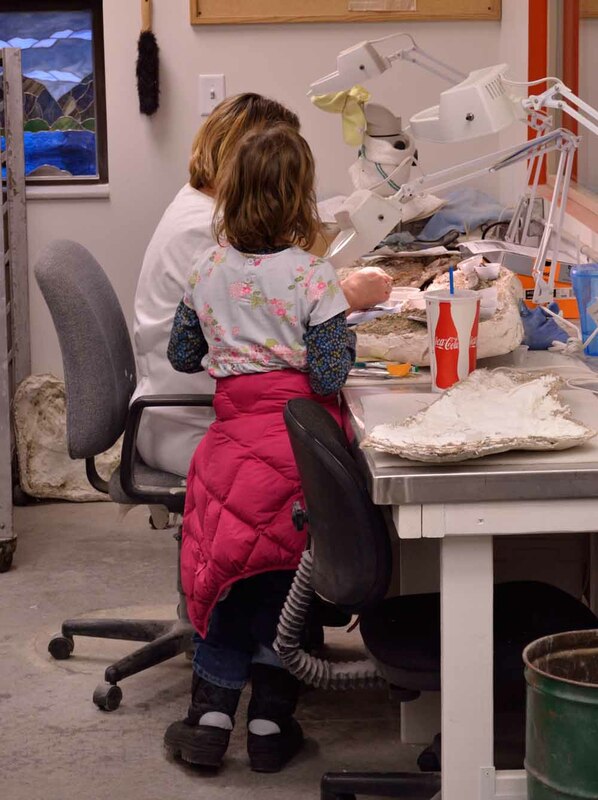 She enjoyed uncovering the sections of fossils and trying to figure out what it was and how it went together. 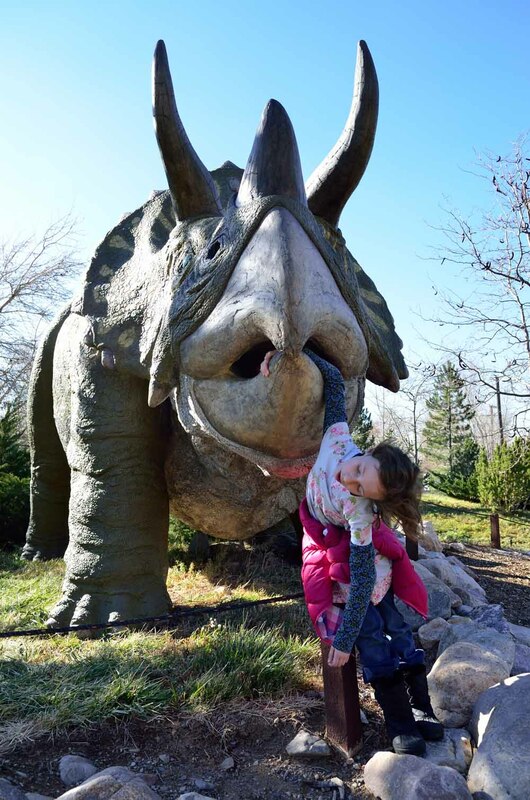 We then toured the life sized dinosaur exhibits and had fun taking photos with them. 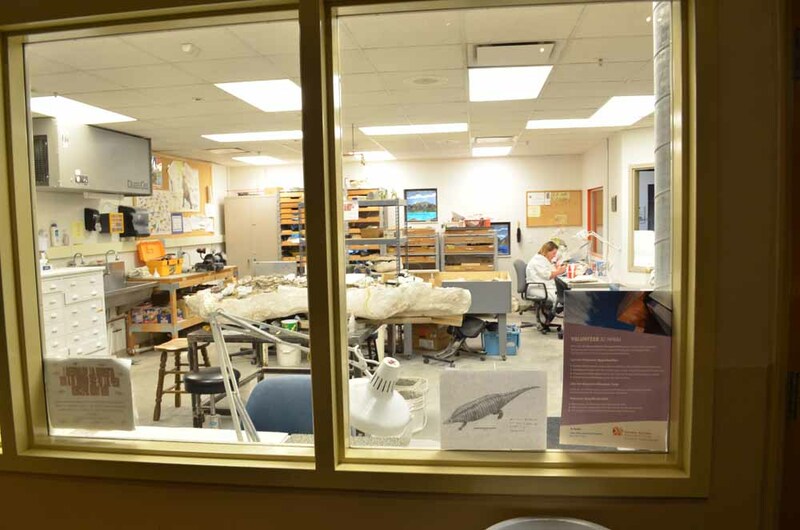 After heading back inside we noticed that there were two people working on unearthing fossils in a glassed in room. We stopped to look at what they were doing, and upon noticing us standing outside the glass, they opened a sliding window to talk to us. Sydney was really excited to discuss dinosaurs with the lady and upon hearing this conversation, the other person in the room came to the door and invited us in. He said that they have the discretion to invite in whomever they wish, but usually only invite in people as interested in dinosaurs as Sydney was. They told us that they were volunteers and loved spending their free time there. They showed us what they were working on, which was a 212 million year old Typothorax found at Ghost Ranch in northern New Mexico. 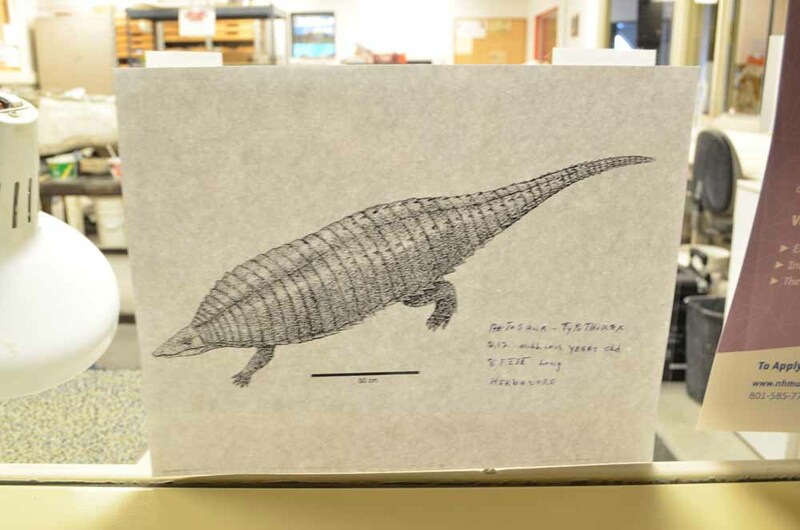 A Typothorax is best described as a giant armadillo with armored plates running down it’s back. The volunteer showed us what they had extracted from the plaster cast containing the fossils and all about their work. 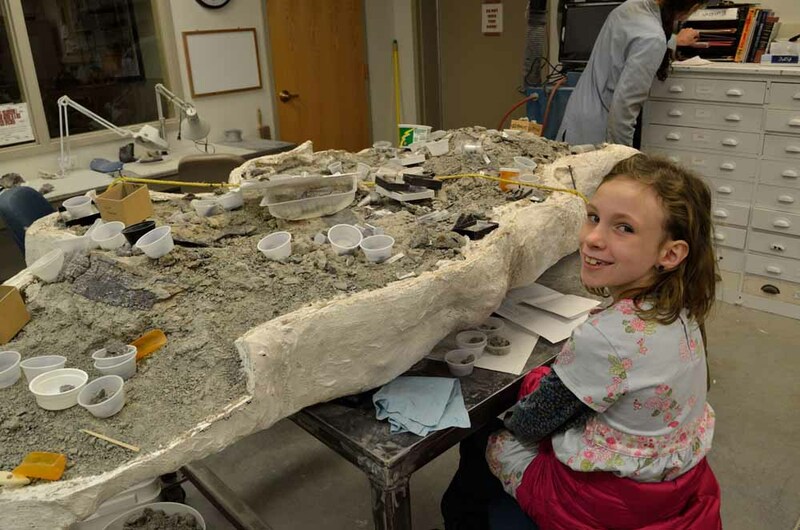 It was very educational and really solidified Sydney’s desire to be a paleontologist when she grows up. 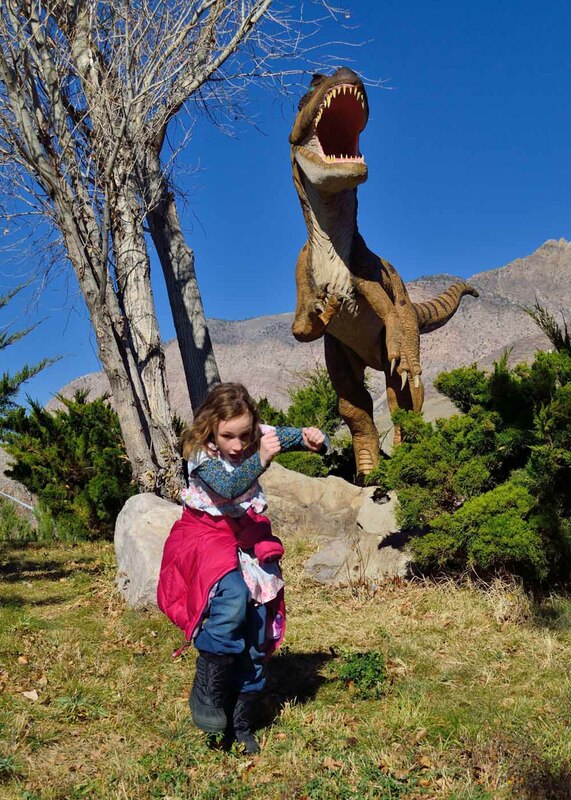 We really enjoyed our visit to the George S. Eccles Dinosaur Park and highly recommend it to anyone who happens to be in the area and would like to learn about dinosaurs and see some amazing fossils. If you go on an Antarctic cruise, one of the destinations you are likely to stop off at during your trip is the South Shetland Islands. The archipelago is split into four distinct groups of isles, with research stations providing the only permanent habitation. There are many reasons to visit this unusual destination as part of your Antarctic exploration, so here’s a brief guide to some of its attractions. You won’t land on Elephant Island, but as you pass it keep an eye out for the large colony of chinstrap penguins that live here. However, it is not only these fascinating birds that make Elephant Island interesting, but also its connection with Sir Ernest Shackleton. This is where the famous explorer and his party in the Endurance were wrecked on his South Pole expedition in 1915. Remarkably, Shackleton and five of his group managed to travel from here to South Georgia to get help. This is probably the most famous of the South Shetland Islands, as it is an active volcano, even though the cone itself has collapsed and the caldera is now flooded. It is a horseshoe-shaped bay protected by the remaining volcanic slopes and is a natural harbour. If you book a tour with Explore Worldwide, your vessel will aim to enter this sheltered area of water during your cruise, conditions permitting. The geology of Deception Island is fascinating, but it is also home to the largest colony of chinstrap penguins in the world – they can be seen at Baily Head. This is the largest of the isles in the group at 1,295 sq km in size and is also where you’ll find the greatest number of bases, with 12 countries having outposts here, although four of these are only used during the summer. Despite its size, these bases are all in a relatively small area because the majority of the island is covered in glaciers – which are in themselves a spectacular sight. This is an excellent place to pass by to give you a chance to see some of Antarctica’s amazing wildlife close up. There are several seabird colonies here, including chinstrap and gentoo penguins, blue-eyed shags, skuas and Wilson’s storm petrels. There are also populations of southern elephant and fur seals on the island, all of which are well worth viewing from the comfort of your boat. This is a very small isle in the South Shetland archipelago, measuring just 2 km in length. As its name suggests, it is a crescent moon shape and one of the main reasons to visit the isle is to see the large colonies of nesting sea birds. The Subantarctic skua, south polar skua, black-bellied storm petrel, kelp gull, Antarctic cormorant and Antarctic tern are all known to breed here. The islands provide a home to a wide variety of creatures, although some of the wildlife you’ll be looking out for will be in the water, rather than on land. During the summer months (which is the only time you can go on Antarctic voyages), you are likely to see a several kinds of seal, including the impressive leopard seal, as well as various whale species, such as humpback, minke and orca whales. There are also numerous types of penguins that inhabit the region, in addition to the chinstrap colonies already mentioned, with adelie, macaroni, gentoo and giant king penguins among those that you can spot while you travel. About our guest blogger: Matt Cook enjoys travelling and cycling which helps in his role of eCommerce Manager for Adventure Travel company Explore.